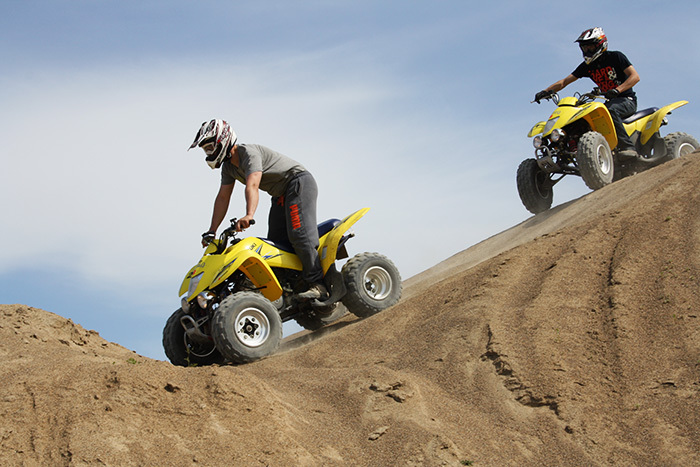 ATV rental and 4-wheel crosser rental is now an option. Now you have the opportunity to come out and have a really fun day with friends, colleagues or family on rented ATV, QUAD or 4-wheel crosser. 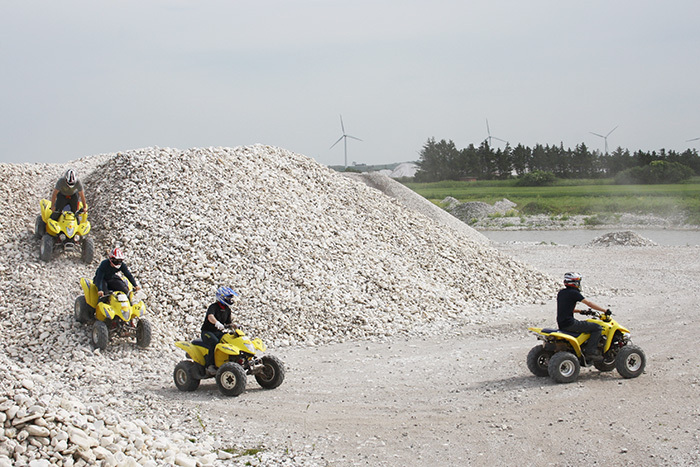 We have made ATV and QUAD tracks in active gravel pits and forest areas, which means that some of the tracks are constantly changing and therefore constantly offers new challenges. If you want to come and drive, you must be a group of min. 10 people. It is possible to make arrangements for smaller groups on days, when we are already on the track with other groups. QUAD NORD provides all necessary equipment: helmet, helmet liner, gloves, glasses and of course QUAD/ATV machine. You must bring your own boots, warm clothing and rain gear in wet/cold periods. 1 hour: 70 euro per machine & 30 min: 40 euro per machine – all included. 1 hour: 75 euro per machine & 30 min: 45 euro per machine -all included. You must be at least 16 years old to drive with QUADNORD. If you are under 18 years, you must have parent’s accept. We hand out beverages during breaks, and it is possible to use the barbecue/grill if the weather allows it. It is not allowed to drive ATV/QUAD with alcohol in the blood, and helmets must be worn during all driving. We have 15 Quad/ATV machines, and have arranged events with over 100 people. Come and have a fun day! Contact Jonas +45 23 64 52 61 or Susan +45 21 17 35 89 (English) for more information and booking an appointment.